An American tourist on a whale-watching boat in Iceland recently saw the unexpected: dead whales. 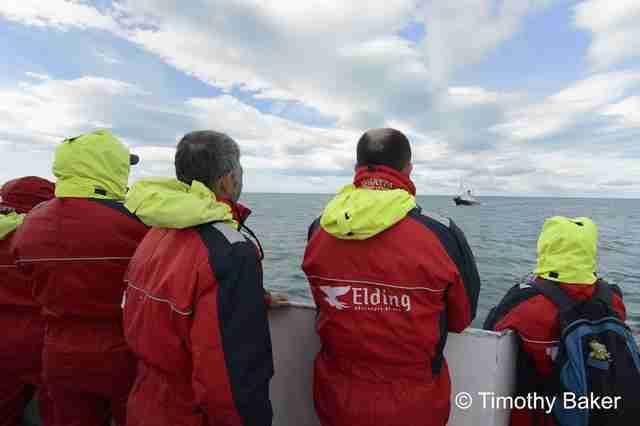 Timothy Baker was on a boat out of the capital of Reykjavik in July when he spotted a whale-hunting vessel with two dead endangered fin whales strapped to its side. Baker, who reached out to a number of conservation and animal welfare groups, including the Animal Welfare Institute (AWI), said he was disturbed by what he saw. "Watching the whaling vessel heading into port dragging the dead whales was the definition of a crossroad for Iceland," he said in a statement. "You can't have dead whales being the only thing seen by people who spend money on whale-watching." According to the Environmental Investigation Agency (EIA), the boat was owned by a well-known whaler. Iceland is one of the leading countries in the world that still hunts whales and has been the target of criticism for its practice. 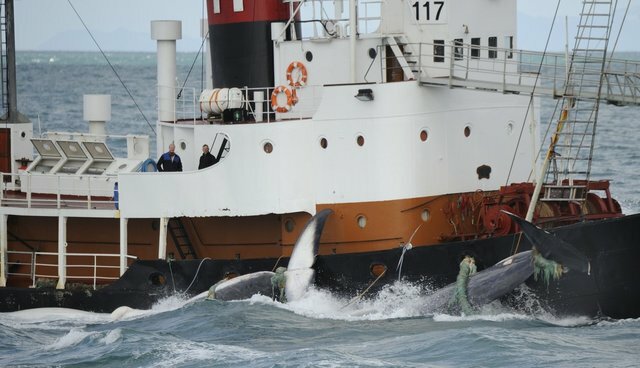 "Iceland, Japan and Norway are the three main culprits in terms of defiance of the commercial whaling moratorium [set up by the International Whaling Commission]," Clare Perry, leader of EIA's ocean campaign, told The Dodo. "Iceland is the only country killing fin whales, and is the key country pushing international trade in whale products," Perry said. According to Kate O'Connell, marine wildlife consultant at AWI, 96 fin whales have been killed by Icelandic fisheries this year. Fin whales are an endangered species, according to the IUCN. The boat crew likely killed the whales via exploding harpoons, Perry speculated. "It's a huge animal and can clearly take a long time [to die]." In fact, she added that there is photographic evidence of whales with harpoons that failed to explode, which means it would take even longer for the animals to die: "There is very little consideration of welfare in this hunt." Iceland has long defended its whaling policy. The government's fisheries management authority says its whaling is sustainable and that fin whales are in abundance. 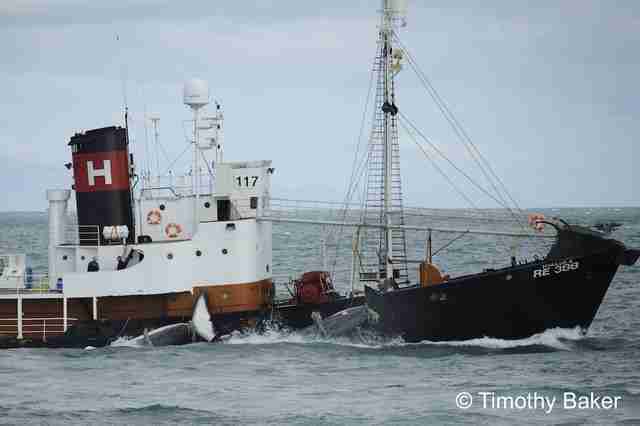 To find out more about Iceland's controversial whale hunt, read AWI's fact sheet. Coincidentally, there is a new documentary being released called "Breach." The film focuses on Iceland's whaling industry. 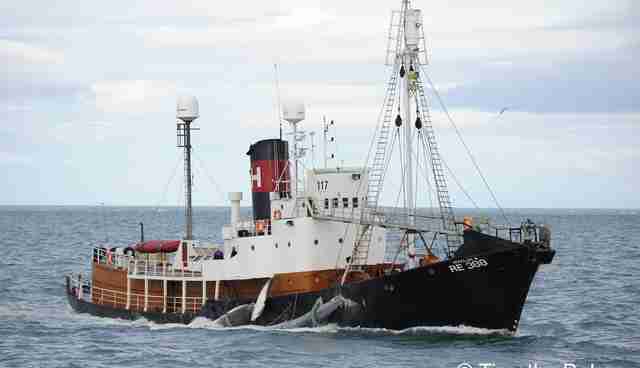 UPDATE: A previous version of this article said that 91 fin whales have been killed by Icelandic fisheries this year. More recently released data, according to AWI, says 96 have been killed.